Shanghai Eye, Ear, Nose and Throat Hospital has opened its new branch in Pujiang Town. 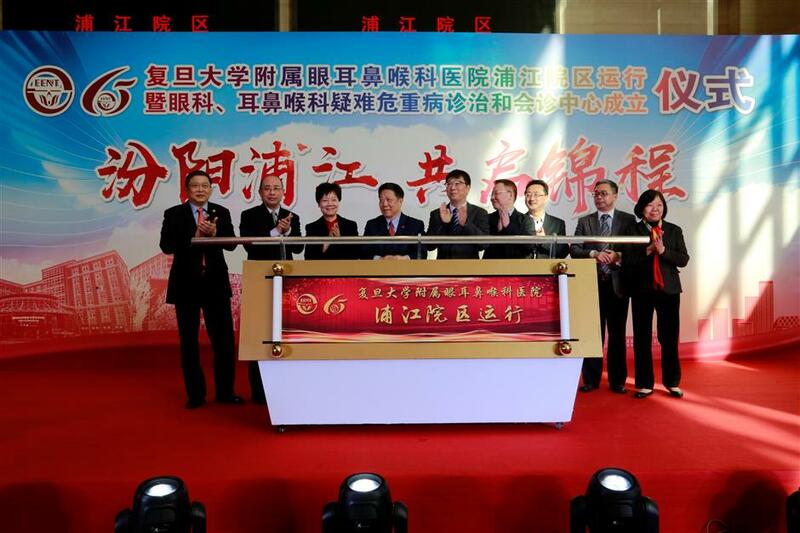 Officials announced the opening of the new branch of Shanghai Eye, Ear, Nose and Throat Hospital in Pujiang Town in rural Minhang District. Shanghai Eye, Ear, Nose and Throat Hospital has opened its new branch in Pujiang Town, which is expected to ease the crowds from the current location of the nation’s top specialized hospital in this field. The hospital’s current location in downtown Xuhui District is always crowded with patients from all over the country, seriously impacting the proper operation of the hospital and patient satisfaction. The new branch, with three times the capacity of the branch in Xuhui, will have 500 beds, 350 of which have already been put into use. Since trial operation began in September, the new branch performs about 1,000 out-patient services and 80 surgeries every day.